Hosted PBX solutions for businesses across Australia. As the name suggests, a hosted PBX system is essentially a private branch exchange (PBX) phone system that is delivered as a hosted service. 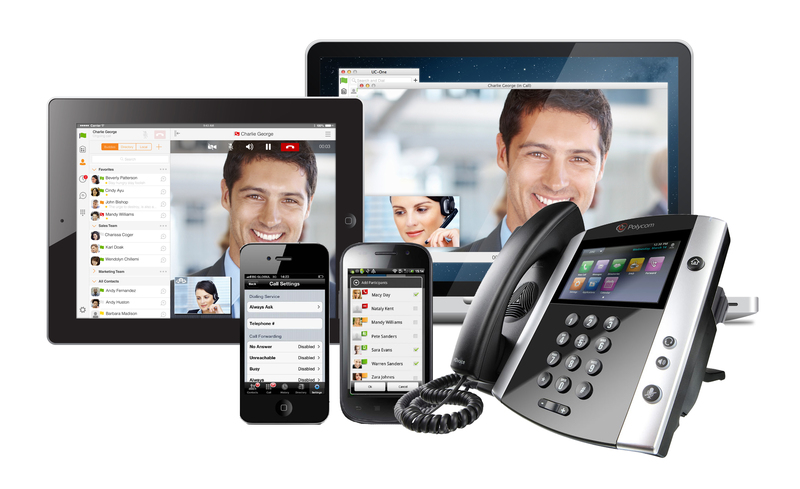 The main reason why businesses opt to make use of this type of system is the fact that it provides a host of features commonly required in a business setting – without the need to invest in a complex and sometimes expensive on site business phone system. Hosted PBX systems can handle everything from faxing, voicemail and automated greetings, through to conference calling, calling logs, call auditing and more. If you are considering implementing this type of phone system for your business, A1 Communications can provide you with the assistance you need. We can set up your hosted PBX system – whether you’re in Melbourne or anywhere else across Australia – ensuring it runs correctly. How does Hosted PBX (private branch exchange) work? A virtual service, the hosting company generally handles call routing and switching at their own location – and they are also responsible for handling all of the hardware and software necessary to run the virtual PBX service. Generally, hosted private branch exchange services run over the Public Switched Telephone Network (PSTN), the internet (VoIP) or via a combination of these two options. If you are interested in this type of system, A1 Communications can build a dedicated hosting system to run offsite and connect to your phone line(s). This is ideal for business that would prefer not to have all the equipment stored at their business location. What features are on offer with a hosted PBX system? IVR menus. Interactive voice menus streamline incoming calls. They prompt the caller to refine the reason for their call by entering numbers, ensuring calls are directed to the correct department. Time of day routing. Time of day routing allows calls to be handled differently depending on the time, day or whether it’s a weekend or public holiday. Voicemail. Never miss another call again thanks to voicemail. Generally, these systems are able to record missed calls and then email them to you as an audio attachment to a nominated email address. Call recording. Need to record all phone calls made or specific calls? Hosted phone systems can cater to this requirement. Hold music and automated messages. From voice recordings to music for when callers are on hold, these systems can ensure your business has a professional edge. Queuing. Dealing with large volumes of callers from time to time? This type of business phone system makes it possible to place callers in a queue while on hold. Apart from the advantage of gaining access to the above features, a PBX system provides businesses with a host of benefits; the main advantage is that hosted systems can make used of lower cost VoIP technology without sacrificing quality. For businesses that need to balance increasing demands with a tight budget, it’s an excellent option that eliminates the need to buy expensive equipment and house it within the office. Want to keep your existing business number? In most cases, your current business number can still be used when you switch to a hosted PBX – meaning you will only need to change your phone system, rather than all your marketing and promotional material as well! Selecting the right phone system can be incredibly confusing for the uninitiated; from hardware to software, there are many different options available that are suited to varying business requirements. If you are searching for an experienced phone system installation company, look no further than A1 Communications. We can provide advice and assistance when it comes to setting up hosted PBX systems for business in Melbourne and across most other parts of Australia. More than just an installation service, we are committed to delivering a high level of customer care and support. With 24/7 accessibility and same day response, you can count on us to ensure a smooth transition to your new office phone system. For more information regarding this type of business phone system – or to obtain a quote – simply give us a call today on 1300 551 214.